Homemade White Chocolate Peanut Butter. So… you want to know what kind of peanut butter was in that peanut butter and jelly snack cake? It would be these peanuts. Oh… with a little bit of this throw in. I think we all know my deep obsession with white chocolate wonderful peanut butter. What we don’t all know is how serious my jar-a-week habit is. Well, I know. Mr. How Sweet knows. So last weekend I snapped out of my peanut butter addiction denial and whipped up a batch. Then I ate it. And I put some in that cake. Then I ate the rest. It tastes just like white chocolate wonderful. But it’s even creamier. It’s like silk. 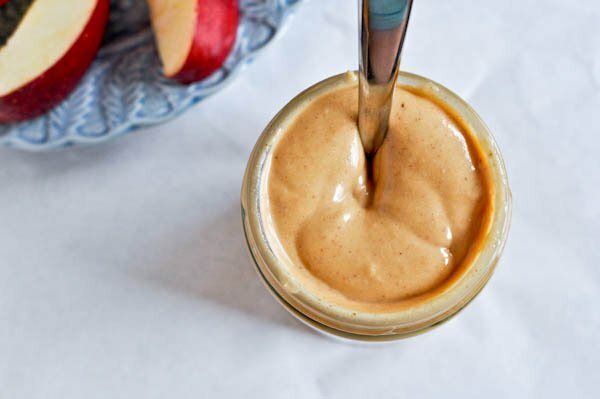 Silk in peanut butter form. Don’t mind me. I’m going to go die now. 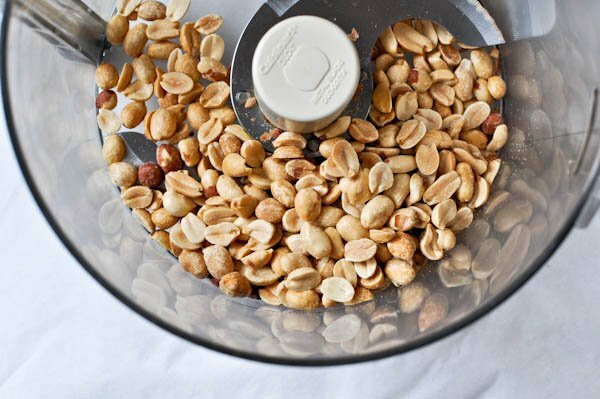 Add peanuts to a food processor and blend until a thick nut butter forms. Stream in oil and vanilla with the processor on, continuing to run it until the mixture is smooth – this took me about 3-4 minutes. 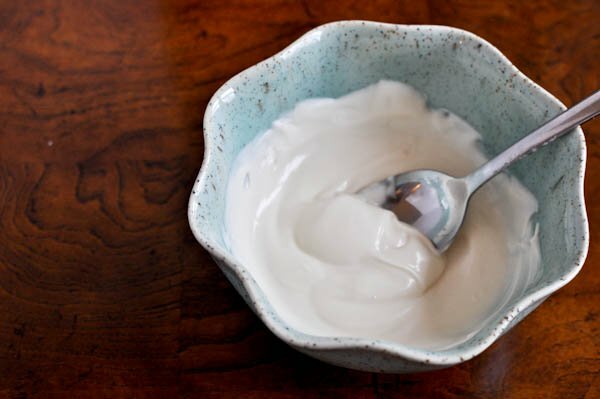 You can add more oil if needed, just do it in small increments. Turn off processor, add melted chocolate, and turn processor back on. Blend until smooth. I kept mine at room temperature for a week, but I do recommend refrigerating the butter if you want to keep it for a few weeks. This jar was gone by yesterday. Somebody send me to peanut butter rehab! I just made this, and oh boy. Trouble for PB & Co. I don’t think I ever need to buy White Chocolate Wonderful again! Oh man, I just made this. I could seriously eat this entire jar full! Thanks for the recipe! I’ve made this before, with some pretzels thrown in to copy Spread restaurant’s white chocolate pretzel PB and it was the most heavenly thing ever tasted…ever. Yes Please!!! You have made my day! I just had the hubby buy a TON of peanuts to make peanut butter and now I can make white chocolate wonderful too?!? Best.Day.Ever! :D Thankssss! Wow! My daughter (12) and I just made this and she did the happy dance and then promptly toasted cinnamon bagels and put this on top. I’m so done with store bought. Thank you!! Can this be made with sugar free white chocolate? Does anyone sell sugarfree white chocolate? This is really cruel of you! I’m sure I will eat this in one sitting. I’m assuming you’ve had peanut butter & co’s white chocolate peanut butter? it’s absolutely delicious and I have no doubt that this is too. What a fun thing to try! 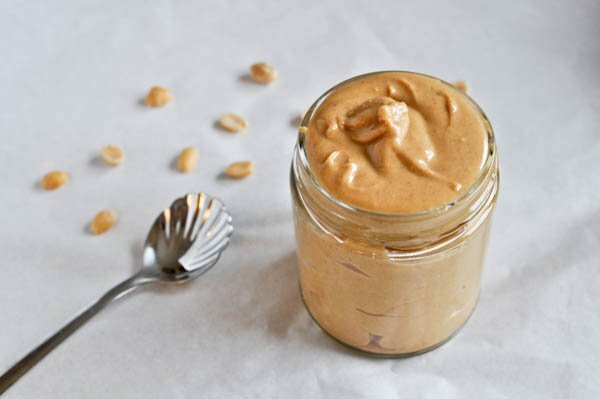 If I make this with roasted peanuts (not dry) would you suggest decreasing the amount of oil?